The National Portrait Gallery in London is over halfway through it’s exhibition “Audrey Hepburn portraits of an icon”, which runs until 18th October. 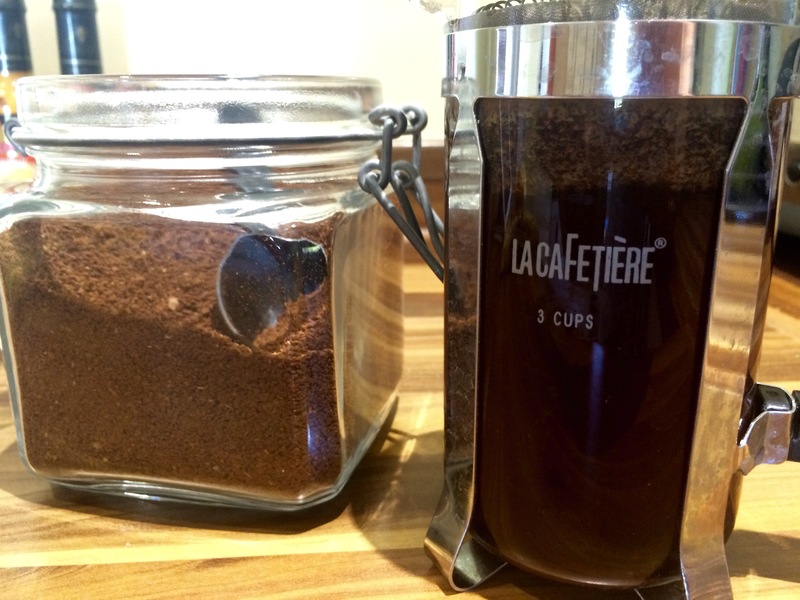 This got us thinking about the diets and food habits of celebrities, so looked into the food lifestyle of this classic glamour girl. 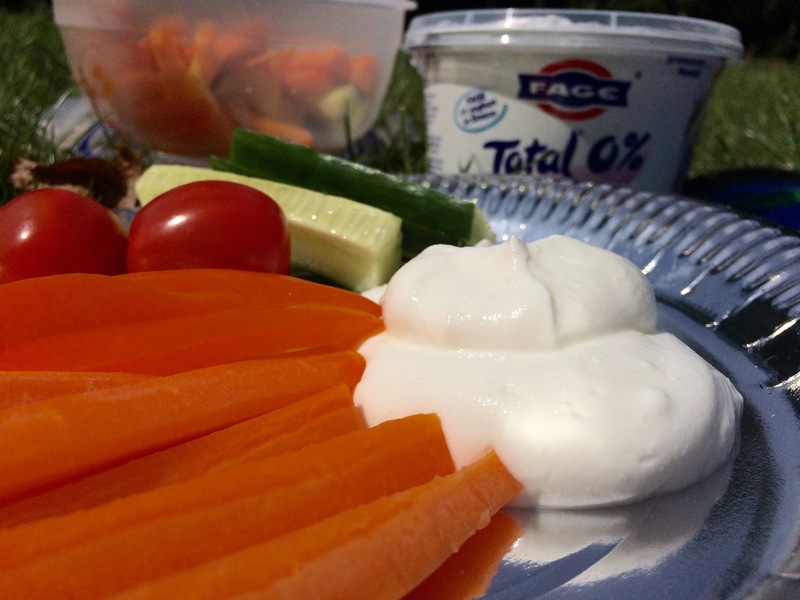 Yoghurt with raw vegetables – we had 0% fat Greek yoghurt and cucumber, carrots and yellow and orange peppers. Soup, meat and several cooked vegetables or a salad with meat. 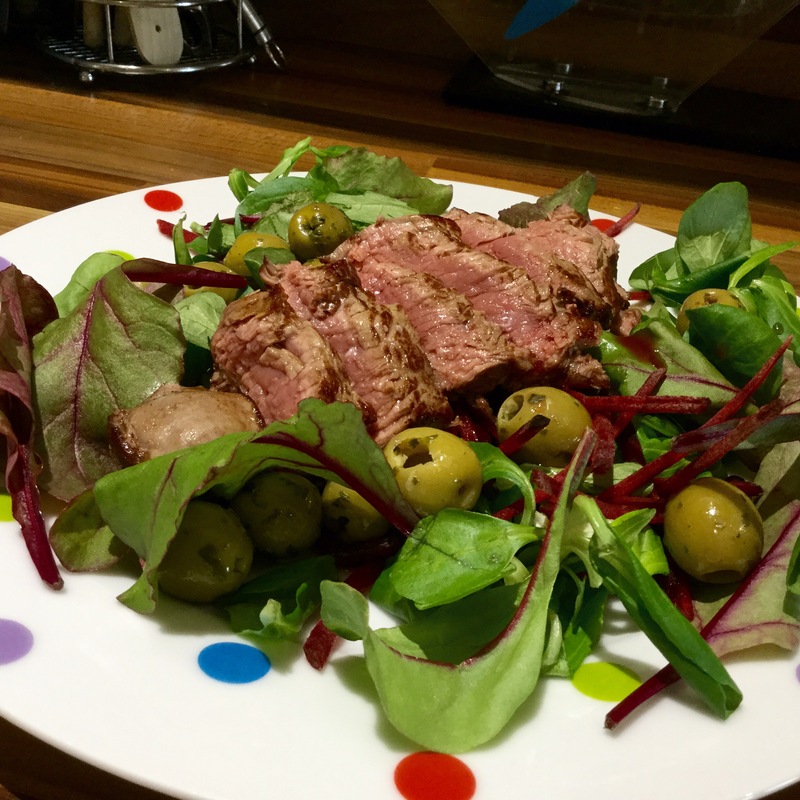 In our example, we chose a simple beetroot salad with sliced, medium-rare beef fillet and a few olives. Snacking was not indulged in and if dessert was on the table (which it was rarely), it would have been in the form of a scoop of vanilla ice cream with maple syrup. 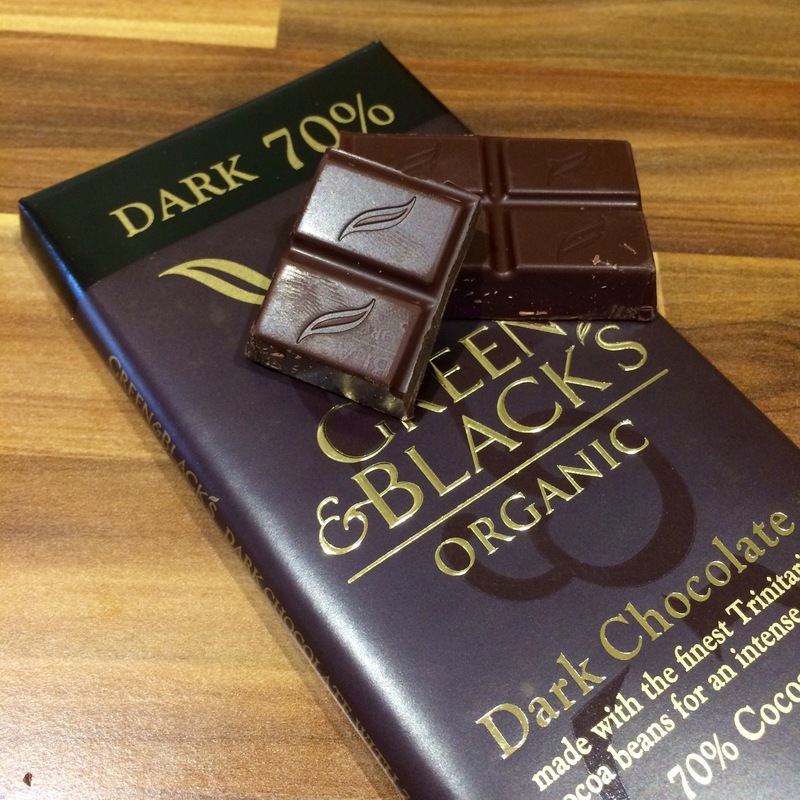 A square of dark chocolate was however prescribed after her daily nap – a perfect excuse for some Green & Blacks.